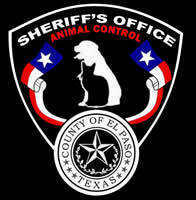 The El Paso County Sheriff’s Office Animal Control Unit is supervised by a Sergeant and has 6 civilian Animal Control Officers assigned to the unit. 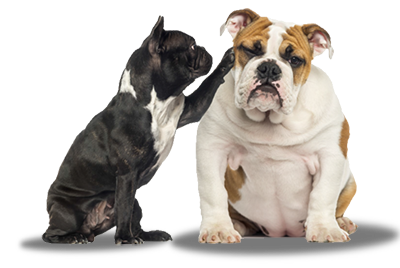 Their responsibilities include the enforcement of animal vaccination laws as well as the collection of stray and/or vicious animals in the unincorporated areas of El Paso County. Animal Control Officers also investigate calls involving animal bites, animal cruelty and nuisance calls involving animals, both domesticated and non-domesticated. 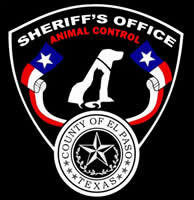 County residents are urged to contact the EPCSO Animal Control Unit if response is needed outside El Paso city limits at (915) 546-2280. Animal Control Officers will patrol designated areas locating animals in violation of animal regulation laws /ordinances. These duties involve: capturing - biting, vicious, diseased, loose or stray animals. All captured animals will be transported to an impound facility. -Investigations of complaints and animal bite cases will be in conjunction with Law enforcement. 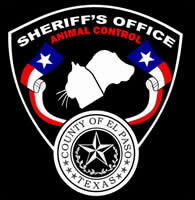 -Animal Control Officers will verify animal licenses and rabies vaccinations. BACKGROUND: On Monday. 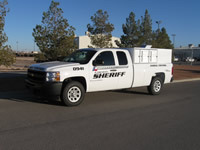 October 5, 2009, County Commissioners voted &awarded the El Paso County Sheriff’s Office $115,000.00 to fund the hiring of civilian Animal Control Officers including equipment, vehicles and training. The Animal Unit is to patrol & respond the outlying areas of the county where there is a significantstray dog problem. This Animal Unit would better handle & target areas where animal control services are now frequently needed. There are current discussions with the city on the issue of boarding & safekeeping the animals. 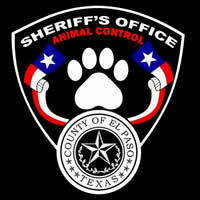 The Animal Control Program commenced December 21, 2009 after the finalization of policies & the hiring / training of the officers.